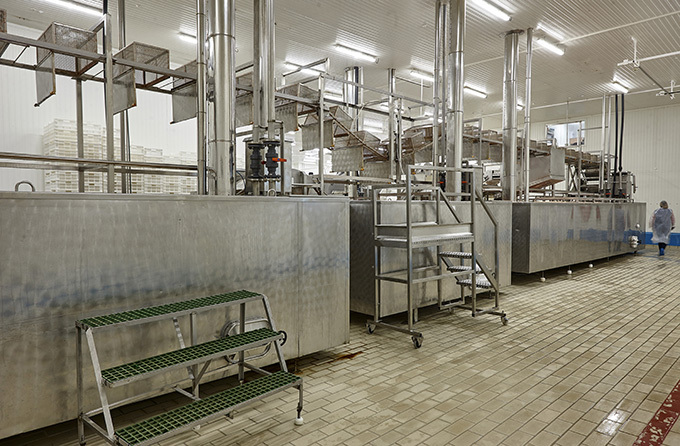 A cooking plant of 2700 square meters built in 2006 with a capacity of 2000 tons a year of both frozen and refrigerated. We have also a processing plant of 4000 square meters. 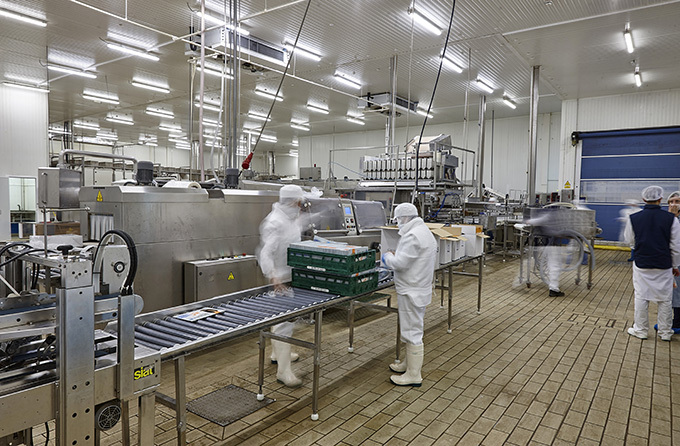 The automatic cooking tank is technically controlled in all of the phases of the process and a cooking capacity of 40 tons of prawns per day. The facilities are the latest design with versatile packaging lines with allows us to innovate and develop new products for a demanding market. The product life has increase vastly as so has the organoleptic properties have remained untouched since our packing systems for both bulk and individual packs are produced with modified atmosphere packaging MAP. 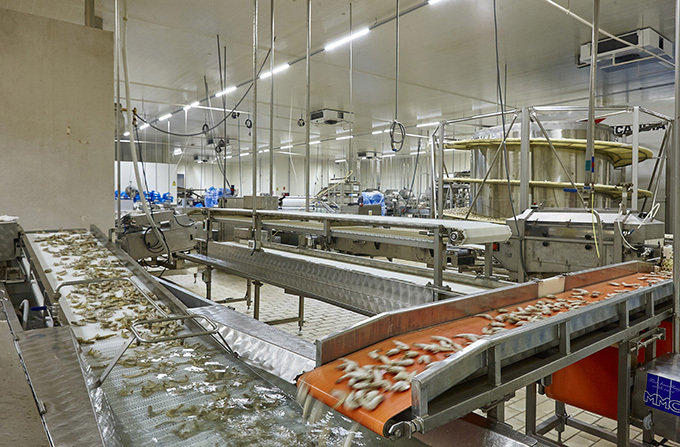 The processing plant for shell fish and fish is where 2000 tons a year are produced for all packaging needs. We can adapt to all of our clients requirements, bulk, second skin, individually packed, etc.